Felcana is set to unveil a new digital health platform that allows cat or dog owners to keep track of their pet's health and collect information regarding their behaviour. 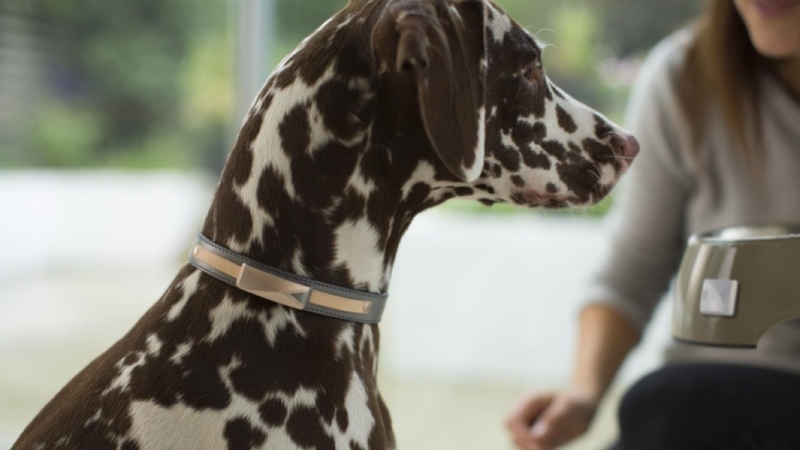 The company's new Health Monitoring Kit will launch initially with a connected collar, the Helix, which focuses on gathering health reports around the clock, alerting owners of any behavioural or physiological abnormalities and providing feedback through veterinary advice. With its AI system, Felcana also claims it's able to detect and predict the early stages of diseases, such as diabetes and arthritis. With the data also stored within the companion app, it can be used as backup for any vets looking to make a diagnosis on a pet's condition. Owners can even control a light on the collar through the app, in case they need to locate their errant pet in the dark. Interestingly, Felcana indicates that the Helix is the first in a range of products currently in the works for monitoring the overall wellbeing of pets. And though there's no indication of how things could branch out from here (anybody for a smart scale for dogs? ), the company has stated that all will tie in with the companion app. Naturally, though this all sounds good on paper, we're yet to know how this tracking works when linked up to your pet. The Helix is waterproof, so there's no dangers of running into trouble if your pet likes a swim, but the true extent and accuracy of its tracking is still unknown. The Health Monitoring Kit will be launching at Crufts 2018, so look out for connected pooches sporting the collar on your TV over the next few days.